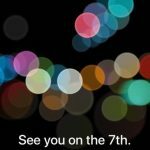 The new iPad is being released tomorrow at a special Apple event in San Francisco and has been the subject of much speculation and rumours. 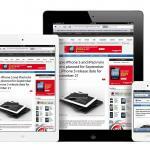 That’s nothing new for any impending Apple products as launch gets closer the rumour sites go into over drive. 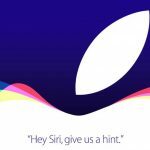 With the new iPad there has been a lot of theories about what the new device will and won’t feature. Let’s take a look at what to expect. Word on the grapevine is the new iPad will have a slightly tweaked design with slightly more tapered edges. It will also be a little heaver than the iPad 2. But having said that, we were surprised in October when Apple kept the same design for the iPhone 4S. We should, then, entertain the possibility Apple will not change the design and call it the iPad 2S. 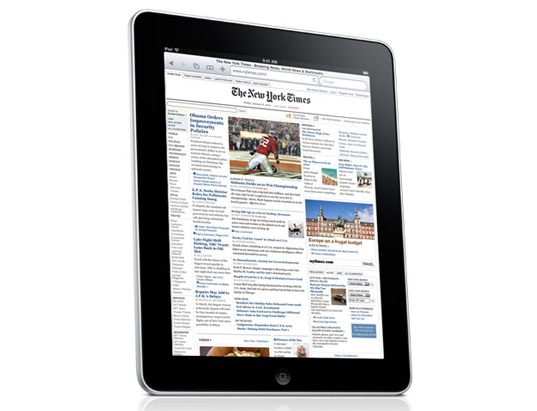 If it does have a new design it will also have a new name – iPad 3 or iPad HD. The biggest change we will see with the device – a high resolution display similar to the Retina Display already seen on the iPhone 4 and iPhone 4S. The increase in the pixel count – if it offers the same pixels per inch as the Retina Display – will give the new iPad a resolution greater than a full HD TV. This will open up the device as an even more attractive entertainment device for watching movies and playing games. The HD display also leads us to believe that the device might not even be called the iPad 3. It could very well be called iPad HD. Every new version of an Apple product usually comes with a faster processor under the hood and the new iPad will be no exception. Latest rumblings suggest the new device will have a dual core A5X processor with improved graphics capabilities (it will need this if the screen is a higher resolution) and more RAM (random access memory). This is the big question everyone is asking about the new iPad as 4G becomes a growing part of our mobile internet experience. But 4G – or LTE (Long Term Evolution) as it is often called – is different in the US than it is here in Australia. US customers are likely to have a 4G version but it looks like Australia will only get the 3G version. Telstra is the only Australian network with 4G network and it works at a frequency of 1800 Mhz. Vodafone and Optus will activate their 4G networks later this year with Optus already trialling the 700Mhz frequency. Apple has famously avoided putting a USB port on any it’s iOS products – the iPhone, iPad and iPod Touch – but there has been a suggestion the company will finally bite the bullet and release the new iPad with a USB port which can be used alongside the 30-pin dock connector. The USB port has been a feature of most other rival smartphones and tablets to make it easier for users to get their data on and off the device. Will Apple relent and finally include a USB port? We doubt it. There have been a number of rival tablet manufacturers offering devices with screen sizes that bring it between the smartphone and the full size 10-inch tablets. Samsung has a 7-inch, 8.9-inch as well as its 10.1-inch tablet – to meet the demand for the “in-between” size. Suggestions Apple will surprise us with a 7-inch iPad have been around for ages. The theory was that if and when it is released it would be called the iPad Nano or iPad Mini. But with the App Store, which recently had its 25 billionth download, specifically caters for a 3.5-inch (iPhone) and a 9.7-inch (iPad) screen. Introducing a size in between these screen sizes will add unnecessary confusion and spoil the currently highly successful way of doing things. Do you want to talk to the new iPad? 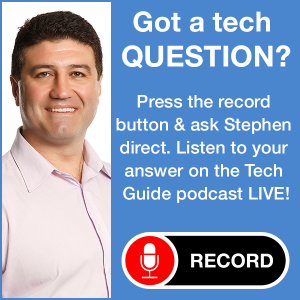 This is a question many have been asking since Apple introduced Siri – the voice-activated digital assistant – on the iPhone 4S. Still in beta, Siri has been a useful for many and a novelty for most and introducing it to the new iPad will create more consistency between the product lines. This strategy has been obvious at Apple especially since the OS X Lion and upcoming OS X Mountain Lion operating systems adopted many of the features seen on the iPad and iPhone. The launch event in San Francisco will be dominated by the new iPad but strong rumours suggest it won’t be the only new Apple product we will be seeing. Apple looks like introducing an updated Apple TV which will support full high definition. Reports of stock levels of the current Apple TV being exhausted around the world supports the theory of an updated model. But it won’t be the full blown flat-screen TV which Apple has supposedly been developing ever since it was mentioned in the pages of Steve Jobs’ biography. The new Apple TV – the small device which plugs into your existing flatscreen TV and streams content to the screen – supporting full high definition video lends strength to the expected high definition screen on the iPad and the possible ability to share content between the two devices. 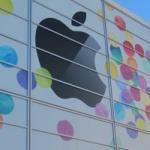 Amid all the rumours – can Apple still surprise us?